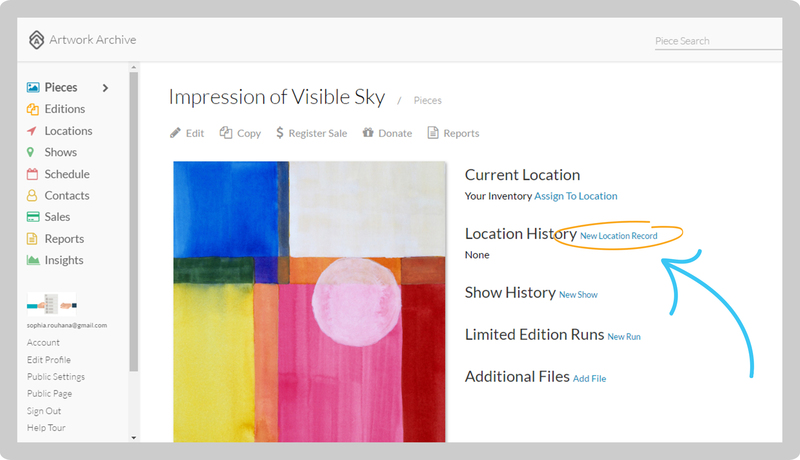 Keep track of where your artwork is and where it has been. Click on Pieces on the left-side menu. 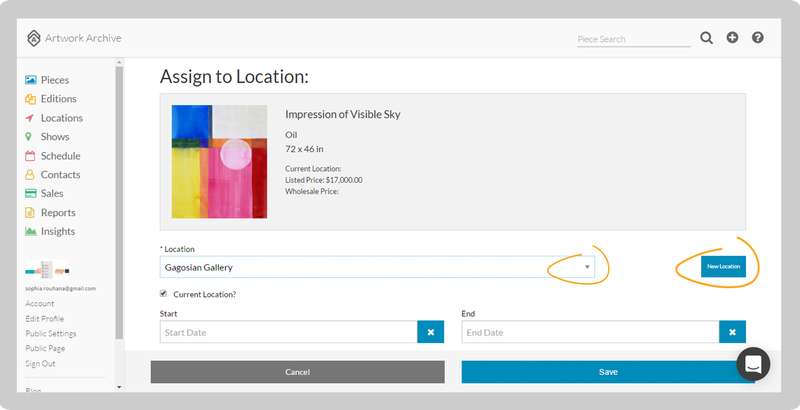 Select the Piece you want to assign to a Location. Then click on New Location Record. Either choose a Location from the drop-down menu and hit Save or click New Location. For a new Location, enter the information and click Save. Click on Locations on the left-side menu. 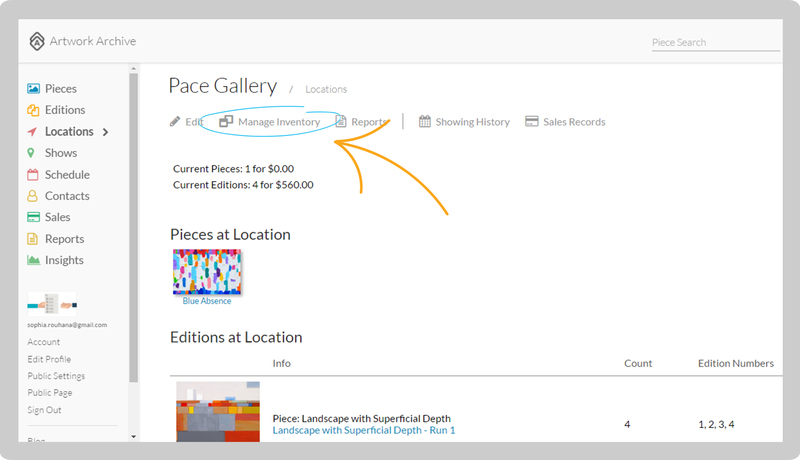 Select the location you want to assign Pieces to. 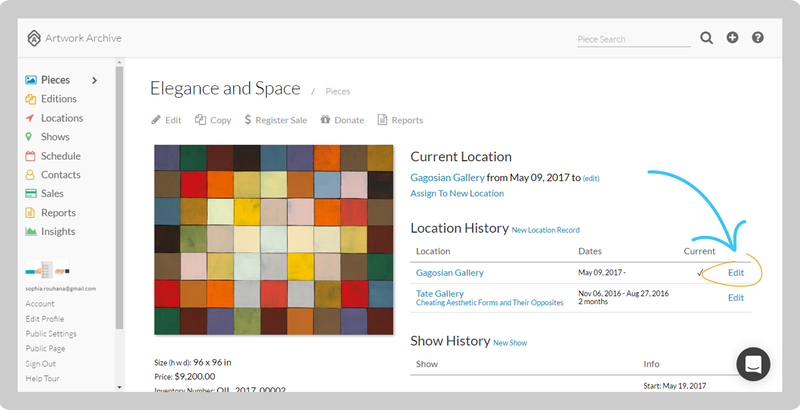 Select Manage Inventory and then click Add Inventory from the drop-down menu. 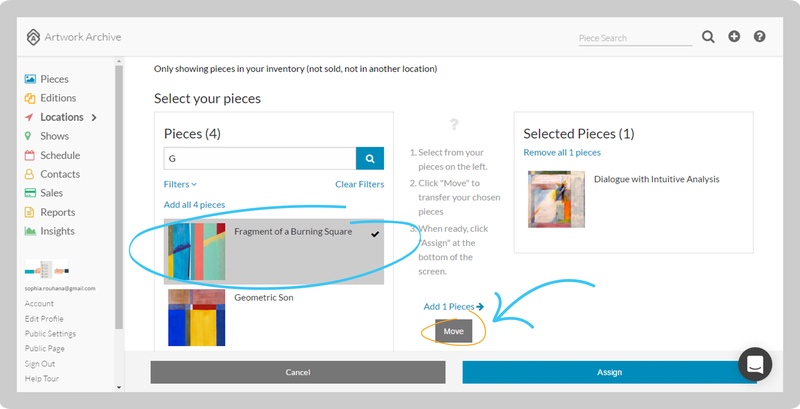 Select the Pieces you want to assign and click Move. Then click Assign. Click Pieces on the left-side menu. Click on the Piece for which you want to edit the Location dates. 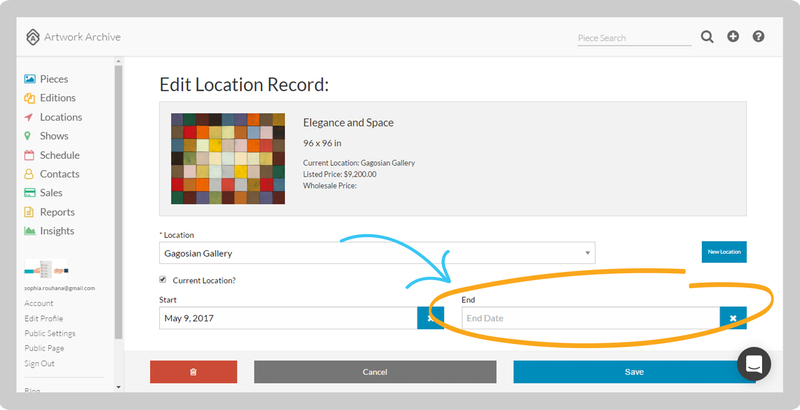 Go to Location History and click on Edit next to the Location to which you want to assign an end date. Click on the box under End and select the end date. Then click Save. Note: You must have a Piece assigned to the Location first to add an end date. If it is the current location of the Piece, check Current Location?. 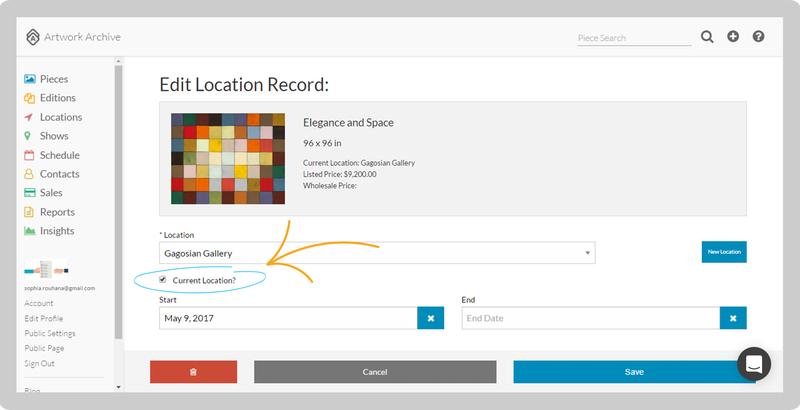 When the Piece is no longer at the Location you can go back and uncheck Current Location? and return the Piece to your Inventory.